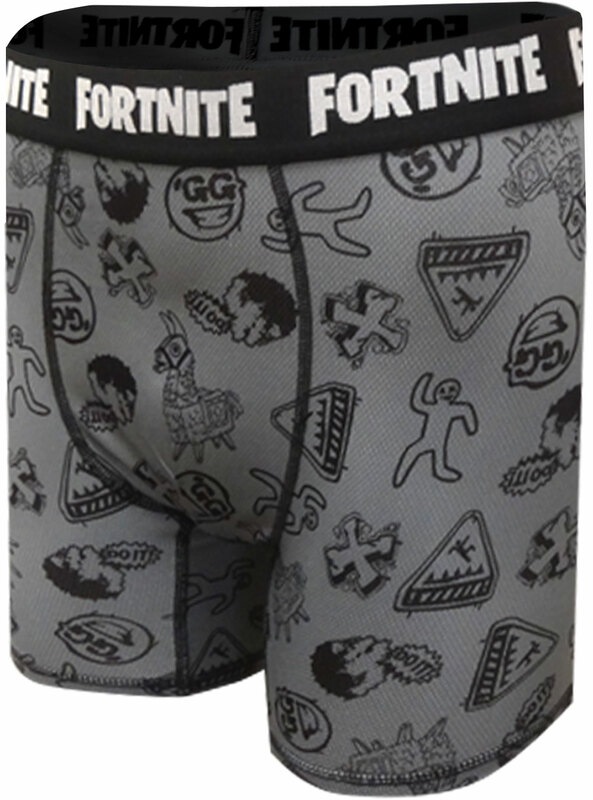 Description: These are the perfect boxer briefs for the man who loves Fortnite and also manages to be active! The boxer briefs are covered with all his favorite Fortnite Icons. The performance fabric makes these ideal for wearing in all situations. Pouch front styling, no fly.